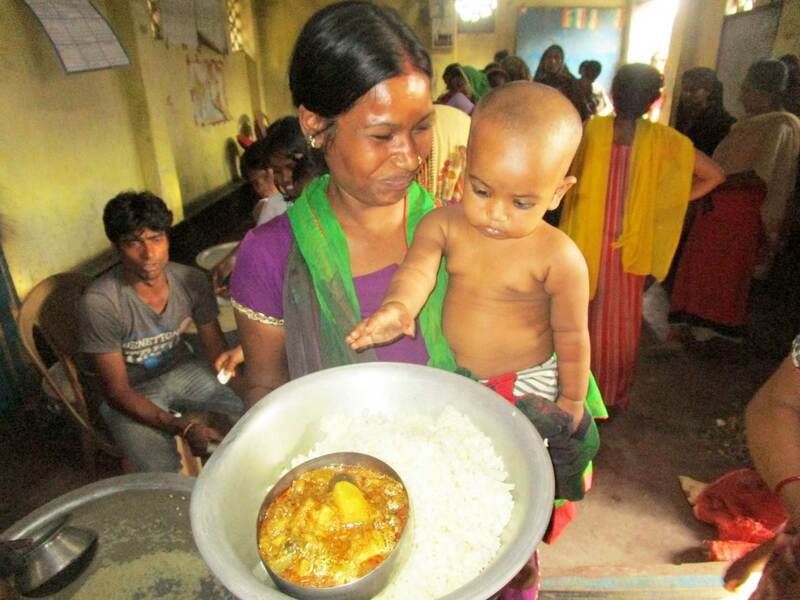 This project provides a nutritious hot meal every Saturday lunch time for 450 people in the Topsia squatter community in Central East Kolkata. These people live in makeshift shelters beside an open sewer; they live by collecting, sorting and selling waste from Kolkata’s streets. They are illiterate, malnourished and live, shunned, on the margins of society. A weekly meal not only provides nourishment, but also shows that there are some beyond their world who care. It is a happy occasion. The 1500 families in this community share two drinking water taps – and the water runs just twice a day. They have no private toilet facilities. The well water is contaminated from the open sewer that runs alongside the settlement. These people earn a meagre living through rag picking or working in exploitative chappal (sandal) factories. Few of the children attend school and all are vulnerable to disease, child labour and abuse. Providing clean safe drinking water and dignified toilet facilities are a priority for Tiljala SHED and we are working towards this. Meanwhile we can make life just a little easier for the most vulnerable individuals in this community by providing safe and nutritious food once a week. By bringing these vulnerable people in once a week and providing a nutritious hot meal, we are establishing relationships within the community and a level of trust which will enable us to make long term and permanent improvements. Clean water, toilet facilities and a health centre are planned. With good health and education these children will have the opportunity to make more of their lives and leave the squatter camps to engage fully in India’s growing economy. This is the first step.